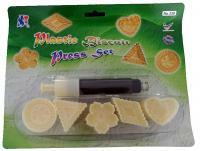 This set of cookie press is made of high-grade nylon in professional quality. Each set comes with five interchangeable motives. Simple in the handling, long-lasting, robust and dishwasher-proof. Each cookie stamp comes with a 4'' long stamping handle which fits nicely into hands of different sizes. 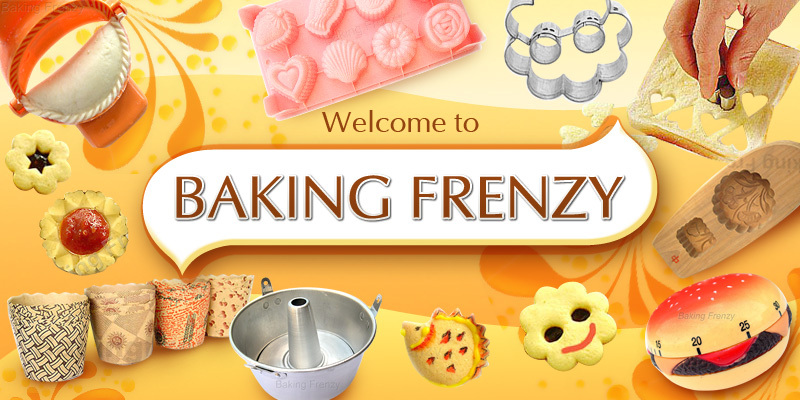 This item's mechanism works like a spring-loaded ink stamp, therefore you can control the deepness of the imprint and thickness of the dough without over flattening the cookie dough.